In today’s blog post, we will answer a question we’ve been asked since the new overtime laws updated. What is the Fair Labor Standards Act (FLSA) and why do we have it? 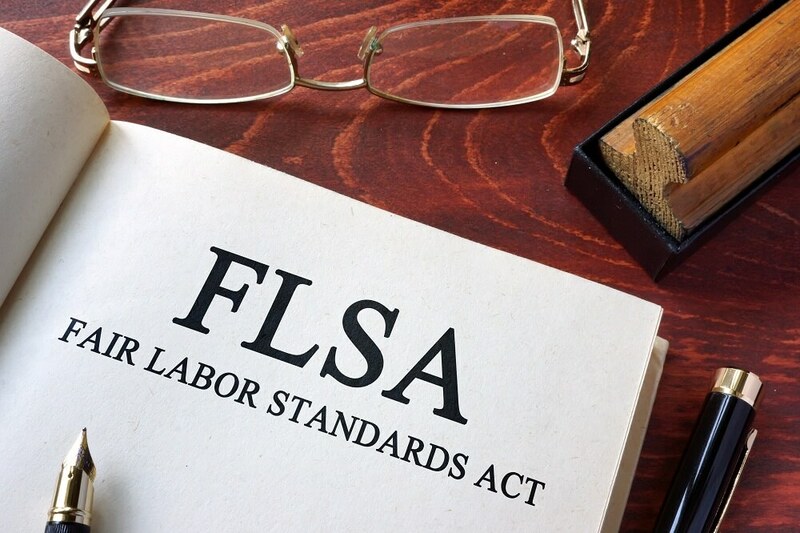 Although nearly everyone alive was born after the FLSA was signed into effect, businesses are again taking notice of this act because of new provisions added and updated to the act earlier this year by the Department of Labor. The FLSA was signed into effect by Roosevelt in 1938 Prior to the Fair Labor Standards, working conditions were deplorable. Workers were expected to work as much as 12-14 hours a week, often 6 or 7 days a week. The tasks often were of a highly physical nature and they didn’t get breaks. Workers in the factories had to clean their machines during their lunch breaks. Typically women were paid substantially less than men, which meant that many women were employed performing rigorous jobs. Children were paid even less and so child labor increased to include 1.7 million children by 1900. Conditions were deplorable. In the cotton mills, children were often employed overnight for shifts of 12 hours a day. Cold water was thrown in their faces to keep them awake at night and accidents were common on the job. In 1900 35,000 workers were killed on the job and another 500,000 others were maimed. The problem continued to escalate despite local regulations. When a state would pass laws restricting child labor or enacting rules other rules for workers, businesses would often move to another location or state and continue existing practices. However, public concern continued arise through major incidences that aroused sympathy. Several coal mining accidents and the Triangle Shirtwaist fire of 1911 produced public awareness that helped to push federal regulations into congress. In the Triangle fire occurred when a fire broke out on the 8th floor of a factory. Safety measures had been neglected or willfully omitted (The owners had already a slew of other fires occurrences in other factories and had collected on massive insurance policies previously). Additionally, there were only 2 exits out of the building and one of the doors was locked from the outside. The elevators could only transport 12 people at a time and with only 1 elevator working and the stair exits so narrow, it would take hours to evacuate the building using the exits available. When the fire started in a rag bin, the manager attempted to put out the fire with a fire hose, but the hose was rotted and the valve was rusted shut. Workers got desperate as the fire grew. The fire department arrived on the scene to see workers locked inside the door banging to get out. Those girls were burned alive. Workers who couldn’t make it into the stair exits or a fire escape started jumping to their deaths from windows. Girls plunged down the elevator shaft to avoid the fire- to their deaths. Additionally, the fire ladders only reached to the 7th floor and the fire was on the 8th floor so it was difficult for the firefighters to fight the fire. After it was done, 145 people had died, most of them women, from the fire or injuries related to the fire. Public outrage was enough to prompt congress to attempt a law protecting the safety of workers, including exits in the case of emergencies. Even so, the FLSA took 6 years of revisions before congress unanimously passed the law into effect. The FLSA created the first minimum wage at $0.25 an hour, created a 40 hour workweek, prohibited child labor (under 16) and created mandatory safety provisions for workers. Employers who don’t comply with the law aren’t allowed to participate in interstate commerce. In today’s world, interstate commerce is defined as buying, selling, or communicating for business purposes across state lines. That means that even a local company that buys from distributors out of state is involved in interstate commerce. Further acts continued to be passed including the Equal Pay act of 1963 which created “equal pay for equal work” and whose primary aim was to eliminate wage gap in women’s pay. The age discrimination act of 1967 prohibits discrimination of workers over 40 yrs of age or older. The Migrant and Seasonal Agricultural Worker Protection Act in 1983 was created to provide protection of pay, working conditions and require farm labor contractors to register with the DOL. Decades later, these acts have become a standard of acceptance by employers and employees alike. Banner, Louis. Women in Modern America: A Brief History. New York: Harcourt Brace Jovanovich, 1984. Dubofsky, Melvin. Industrialism and the American Worker, 1865–1920. Arlington Heights, IL: AHM, 1975. Gutman, Herbert G. Work, Culture, and Society in Industrializing America. New York: Knopf, 1976. Kanowitz, Leo. Women and the Law: The Unfinished Revolution. Albuquerque: University of New Mexico Press, 1969. Rodgers, Daniel T. The Work Ethic in Industrial America, 1850–1920. Chicago: University of Chicago Press, 1978. Von Drehle, David. TRIANGLE: The Fire that Changed America, New York; Atlantic Monthly Press, 2003.